My love for sewing allows me to express my passion for colour, texture and shape. I create designs for patchwork, quilts, bags and home furnishings. I teach patchwork and quilting and travel with my shop to give workshops. Teaching beginners to use their sewing machines and sharing ideas to inspire them on their creative journey. 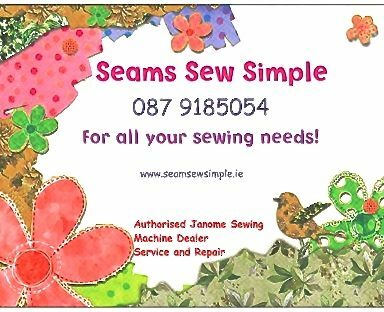 I supply designer fabrics and give advise on which sewing threads to use with the correct needles. I supply sewing notions and all the equipment needed to make patchwork and other sewing projects. I travel to groups and give workshops on new techniques and designs.